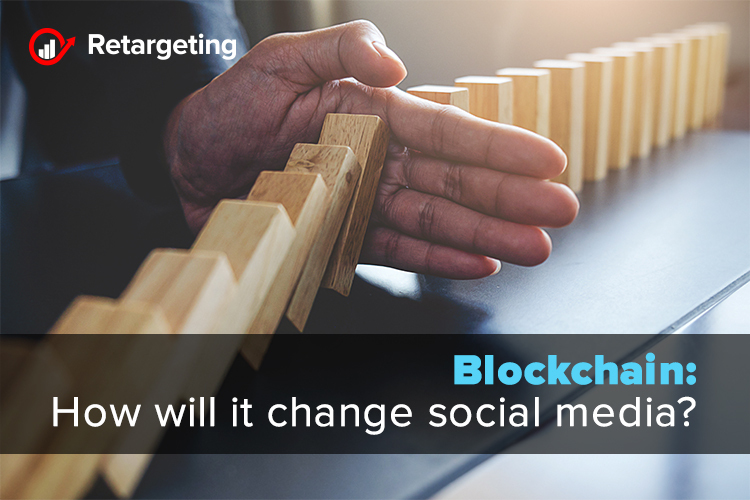 We’ve all heard the buzzword and its relationship to cryptocurrencies, but few have dug in to see how blockchain can change the world of social media where centralized channels and user-produced content consumed by platforms is the norm. With the market value of cryptocurrencies close to $1 trillion in 2018, this technology is one of the most promising upcoming shifts in the industry. Blockchain can be described as a highly secure digital ledger that lives on a global network of computers and enables peer-to-peer transactions to take place. This network allows a group of connected computers to maintain a single ledger rather than having the data owned by one manager. Before new information can be added to the ledger, blockchain uses mathematical functions and code to approve and verify transactions. Social media platforms have an estimated 2.46 billion users and billions of pieces of content generated and shared across networks each day. Facebook alone estimates that approximately 100 million hours of video is viewed on its platform daily. To join the conversation and become part of the network comes at a price to the user. Concerns over privacy, content distribution, and transparent advertising are only some of the challenges that exist within the social system today. Large amounts of content have created a stepping stone for advanced algorithms to be active in the background of social platforms pushing content through user feeds. Over time, these algorithms have been altered, making it much harder for businesses to earn organic engagements and nearly impossible for users to avoid unwanted advertisements. This has a larger monetary gain for the platform instead of the user. With blockchain, social users rather than the platform own posted content. We live in a world where fake news travels faster than true news. According to recent research, false news reached more people than true news. Emotional reactions were thought to be responsible for that. Leveraging blockchain in social communities would allow for content that’s posted to be accurate because a piece of information cannot be added to the chain unless it is verified and approved by the entire network. We can’t predict with certainty that blockchain will outdo the current social system. However, as users, we will have more control over our personal information, content and the access to accurate information. Increase your landing page conversion rate! Stay relevant with the new trends in e-commerce! Goodbye sales funnel, welcome flywheel!